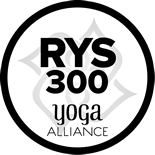 Whether you are new student to The Yoga Center Retreat or to yoga in general, we are so excited for you to begin your yoga practice with us! Our beginner yoga classes will provide you with the tools to get started: fundamentals of yoga asana (poses), pranayama (breathwork), and answers to your questions on the various forms of yoga or your personal practice. We understand that each student is unique and comes to yoga with different goals and needs. Whether you are coming to get in better physical condition or simply stop the chaos of your mind, there is a style of yoga that is right for you. If you’ll be visiting us for the first time, please come early or print out our New Student Form and bring it with you. Still unsure or have questions? Give us a call at 952-582-1271 to help navigate your yoga journey. At the Yoga Center Retreat, we offer a variety of different classes, programs, and workshops. Whether you’re looking to start your practice, to share the teachings of yoga, or to simply find tranquility in our peaceful sanctuary, you’ll find that our studio has something for everyone.